This means, if you need a tire mounted(or just balanced), whether you bought it from me or not, you can contact me and I will mount it for you, for free. There are certain guidelines you must adhere to in order to take advantage of this benefit, as stated below. Mounting and balancing normally costs $20 per wheel($30 if you brought in your own tires). * I reserve the right to alter this or rescind this offer of free mounting if circumstances dictate to me that I should. This is by no means a contract, and no one has given me reason to refuse to mount their tires, but it could, in theory, happen. I do not service motorcycles. For me to mount your tires, you must remove your wheels and bring them to the store, Cyclegear has no repair facilities or motorcycle technicians. You cannot remove your own wheels at my store. It is against both my property management&#39;s and my company&#39;s rules for any service to be performed on any motorcycle by anyone in the plaza. This means that I can be held personally responsible if someone services their bike in the lot. This does not mean you can go out of my line of sight or around back and take your wheels off, if I know you are working on your bike in the lot, I am obligated to tell you to stop. I do not mount tires on a "walk in/while you wait" basis. Keep in mind that I am essentially doing BoRn members tires "on my own time" and not to the company&#39;s direct benefit. This means I have to do them when I can accommodate it in between other aspects of business, which sometimes means I will ask that you drop your wheels off and come back for them in an hour/the next day/etc. It always means that we need to come to a mutual agreement about when you&#39;ll be coming in to have your tires mounted. It can be very disruptive to business if someone just shows up to have a tire mounted, and I may not be able to do it. Save use both the aggravation, and just contact me in advance to work out a time. For reference, we give a 24 hour timeframe for tire replacement whenever a normal customer drops a wheel off. I do not charge BoRn members to dispose of their old tires. That one&#39;s easy. If you don&#39;t want your old tires back, we&#39;ll scrap them for you, no charge. If you do want your tires back, it&#39;s a good idea to let me know that up front, so I know to set them aside. You must talk to me about getting your tires mounted, first. While there may be certain times when I will have you go in and get the tires mounted by one of my team members when I am not there, unless I have already spoken to you and set it up, no one at the store is under instructions to mount tires for free. Again, make everyone&#39;s life easy and talk to me first, if someone were to go into the store and ask about "free BoRn tire mounting" at the cash register, it could potentially ruin a good thing if other customer&#39;s were to hear and begin questioning why they don&#39;t get that service for free. Help me to help you. All in all, I appreciate all the support members of this forum give to me and my store, and this is just one small way I feel I can "give back" a little bit. By keeping the system running smooth, we can all benefit from it. thanks for the hook-up kurtz! Mr. Kurtz swapped out my tires last week for me and all I can say is the service and respect I received was top-notch. And because of this excellent service I have sent two of my friends to him to buy several hundred dollars worth of products, and I will keep sending people to hm. That is my way of saying "Thanks!" This is a sweet deal!!! Just to clarify where I stand on the tire thing. As many of you know, I sell Pirelli tires now. However, it is strictly a convenience thing for people "stuck" at trackday. 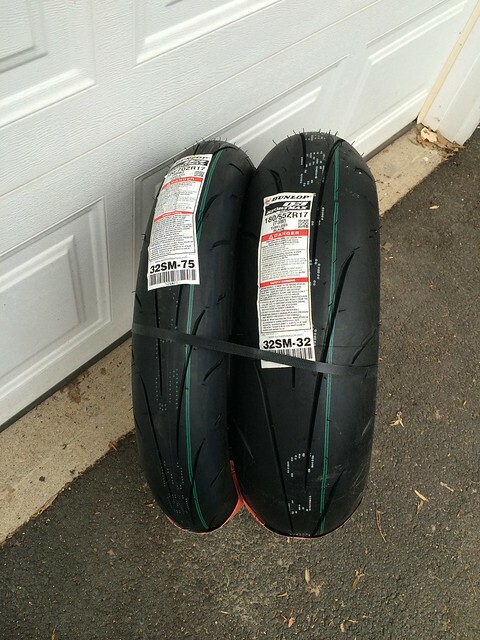 Personally, I think the smartest move for trackday riders is to order tires from Kurtz and get them mounted and balanced ... all BEFORE you ever show up at the track. If we didn&#39;t have two day events this year, I would have never gotten into the tire thing. My thinking is that the only people that should be getting it done at the track are those that have enough rubber to get through the first day, but not the second. There is so much fun and learning going on at a trackday that you shouldn&#39;t waste time and energy worrying about swapping tires during the day. Get it done ahead of time if you can. If I had a free minute to get them down to you in orange I would totally take you up on this!